Based on the Janssen Sports Leadership Center's immensely popular Leadership Academies, we've created a powerful LEADERSHIP RETREAT for your student-athlete leaders. This amazing, intensive LEADERSHIP RETREAT provides your leaders with the leadership skills, strategies, and insights they need to help your athletic department succeed on the playing fields, in the classroom, on campus, and in the community. Your student-athlete leaders from all sports will bond and create a strong leadership team as they learn how to tackle the tough issues of being a responsible and respected team leader. - minimize and prevent such problematic issues as underage and binge drinking, hazing, gambling, sexual violence, etc. The LEADERSHIP RETREAT includes up to six hours of in-depth leadership programming that can be conducted in one day or distributed over the course of two days. Typically we focus two hours on an Emerging group of leaders, two hours on a Veteran group of leaders, and two hours on the coaching staff; however you can choose how you would like to concentrate your programming. Plus, the LEADERSHIP RETREAT includes ongoing, year-long leadership support and development through The Team Captain's Leadership Manual. Rather than a one-time program that participants enjoy but quickly forget, the LEADERSHIP RETREAT and follow up resources have a noticeable and lasting impact on your athletic department throughout the school year. I really enjoyed the Leadership Retreat. 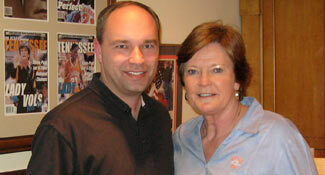 I now have many great leadership ideas to bring back to my program. It was awesome! Thanks so much! The Retreat really pinpointed things that being a leader is all about. This workshop was great. I wouldn't change anything because I learned so much about myself and team. This Retreat was amazing. It really helped me want to step up and say something to my team. I really enjoyed the activities we participated in. They taught me a lot of new aspects of leadership and teamwork. I enjoyed hearing about how to cope with individuals who are not as committed. I loved the whole thing. The Retreat was a great learning experience. It was GREAT!!!!! Participating in the hands on activities was really effective. Also, the personal stories made it easy for me to relate to. Job well done! The hands on activities kept my attention and helped me to understand what a leader should do in real life situation. I thought the conversations afterwards about the activities were helpful also. Thank you! 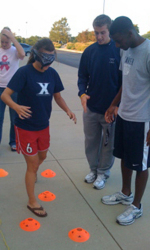 I really enjoyed and found helpful the team building activities. 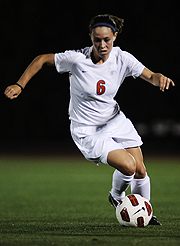 Not only did it help show me how to lead my team, but I also met student-athlete leaders from other sports. I met several other people I can turn to now to help me lead. 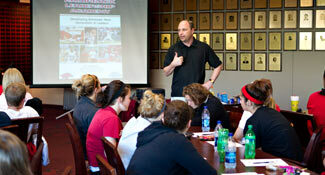 The stories about the actual teams around the nation using the program were very effective. 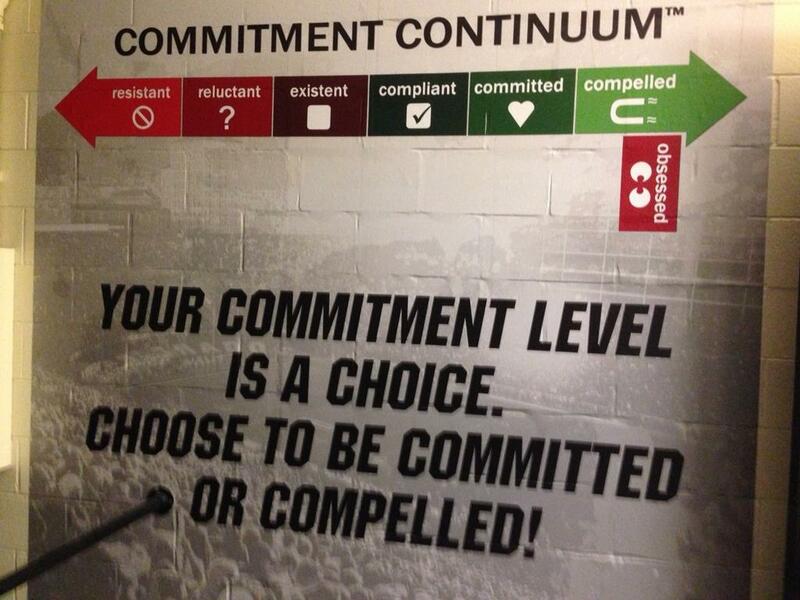 The Commitment Continuum was also a great visual aid and really made me think about my team and myself as well. That is something I know I'll for sure think about for the rest of the season. This retreat was the best workshop I've been to. Read the article about LSU's LEADERSHIP RETREAT, Xavier's LEADERSHIP RETREAT and UMKC's LEADERSHIP RETREAT. 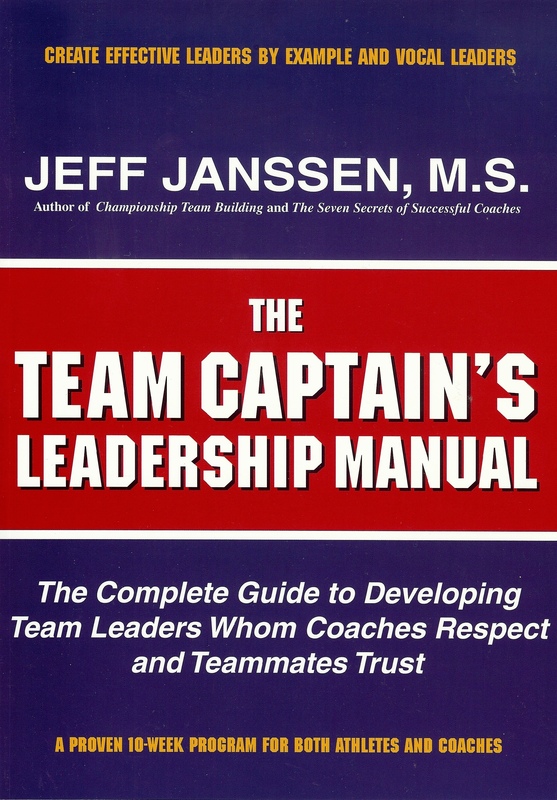 To explore hosting an intensive and interactive LEADERSHIP RETREAT for your athletic department, please email us at jeff@jeffjanssen.com or call toll free 1-888-721-TEAM. It's one of the best investments you can make to develop the leaders you need to succeed.